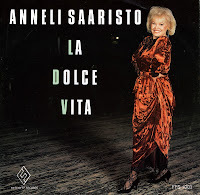 When you listen to 'La dolce vita' by Anneli Saaristo and you know it is a Eurovision song, the assumption is quickly made that it is a Spanish song. But nothing could be further from the truth: this 1989 entry was actually sent in by Finland! The result was not bad: the song finished seventh in the Contest in a field of 22 participants.